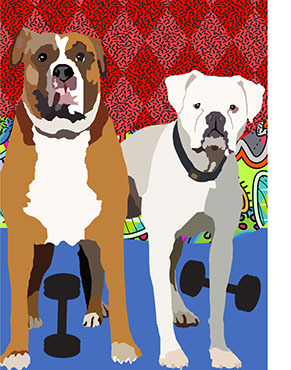 Would you like to have a unique piece of art of your pet, child, spouse, or even give those corporate head shots some pizazz? 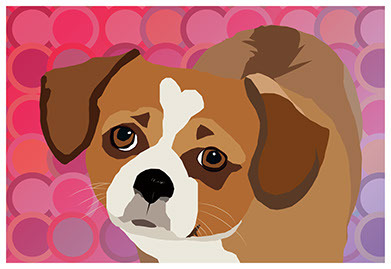 Pixel Pal Portraits offers a unique digital rendering of your dog, cat, child or most beloved human. All art is scalable in size to fit your specific needs. 1. You'll email a photo of the subject. It needs to be rather decent in quality. 2. There is a base price for the digital art file. 4. You'll receive a PDF and JPG file of your artwork via email or DropBox when complete. 5. The price does not include any prints, but we can set up a print service of your choosing online, or you can do it yourself. All of our backgrounds are custom made, making this truly a unique piece of art.